The Marietta Daily Journal is the parent company of the Cobb Life magazine and many other publications across Georgia. 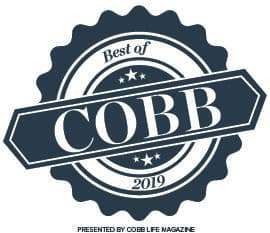 Many thousands of Cobb County residents enjoy the magazine and over 240,000 Cobb County citizens voted in the Cobb Life “Best of Cobb” competition. Cobb County boasts a highly engaged population who appreciate high-quality products and services when they find it – especially in the realm of healthcare. The residents of Cobb County seem to agree with this assessment of the strengths of the clinic by the Marietta Eye Clinic’s leadership. Cobb County’s voting the clinic as “Best of Cobb” and nearly 70,000 patients choosing to entrust their eye care to the clinic in 2018 shows this practice is doing quite a few things right.